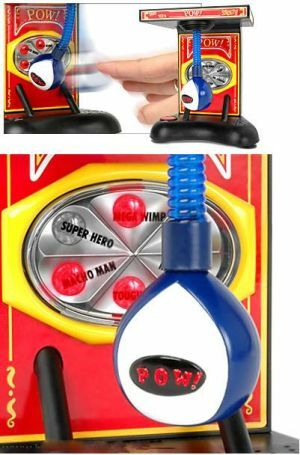 The miniature Finger Punch Ball will let you know if you are a mega wimp or super hero. It costs 32500 WON (around $35 I believe) and is the sure way to prove to your friends just who is the strongest. 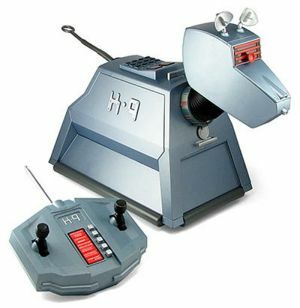 For those who love Dr. Who and cannot get enough then you may want to buy one of these RC K9’s. K9 is a robot dog which debut was in 1977. It looks old and retro but saves the Dr a number of times. The RC version has 5 buttons in the controller which allow him to speak 7 different phrases as well as extending his nose blaster. The other controls allow K9 to move back, forwards, left and right. K9 is powered by 4 AA batteries in the unit and a 9V batter in the controller. It costs $59.99 and is available from ThinkGeek. You might be a bit worried about ghosts with Halloween being just around the corner. 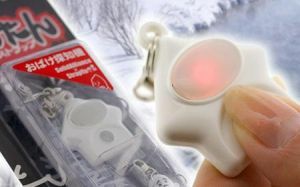 If you are the type who lays awake in fear about ghosts being around, then a cell phone ghost detector is needed. It comes from Japan (surprised?) and detects magnetic field alterations and body temperature fluctuations. When a ghost is detected it will flash and make ghost noises. You then know if being frightened to death is needed or not. It costs just $17 and is well worth it if you get frightened about stuff like this. 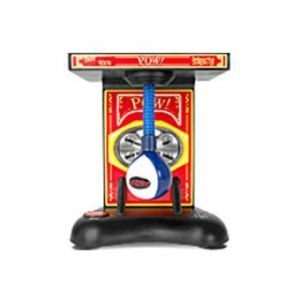 For those of you with an entertaining streak running through you, check out the iKaraoke which is designed to be attached to the bottom docking port on your iPod. 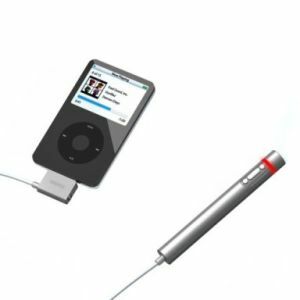 It allows you to sing along to the latest tunes you just downloaded, or to sing out loud through your iPod playing over loud speakers. All you need now is some funky words displaying across the screen and you have a fully fledged pocket sized karaoke player. It costs $44.99 and is available from Target. If you feel the need for a bit of a laugh and want to hand out insults to work colleagues with out them knowing it’s you then go and pick up an Echo Bot. The Echo Bot is a 1 eyed alien which can record a message of up to 10 seconds and then play it back when someone walks with in a meter of it. The motion sensor inside picks up who is in proximity. 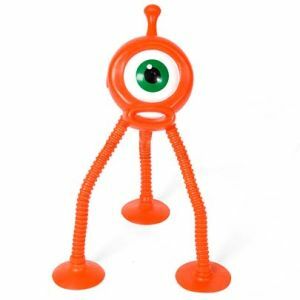 I cant see this one frightening people away from your home, but it will brighten up the office for times when things are just boring. 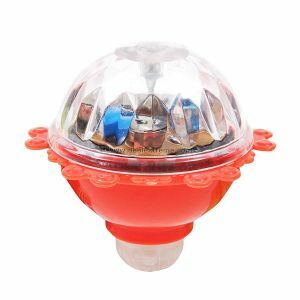 A simple toy for Christmas is a pack of 2 LED gyroscopes. There isn’t anything complicated inside as it just spins and the LED’s light up to make a pattern. However, no batteries are required as it uses the spinning motion to generate power to power the LED’s. The package of 2 will set you back just $3.39. When you get that new phone, or new toy you just want to show it off to everyone. This is where a solar powered revolving table will fit in. It’s small enough to fit on your desk and allows you to place your phone or something of a similar size on to it so it revolves around for every one to see. It’s solar powered so will never run out of batteries and costs $15.90.